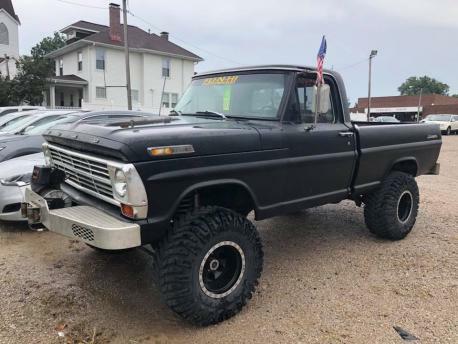 Description: 1968 Ford F100 Ranger with a Warn Winch. This truck has been lifted, and sits on 35x15.5x15LT Mickey Thompson Baja Claw tires. It has a 4 speed manual transmission with a 390 motor. asking $7,950.00. Will accept cash, financing, or cashiers check.